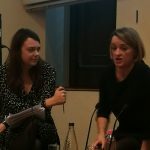 Women in Journalism were delighted to welcome Laura Kuenssberg as the inaugural interviewee in our new ‘In Conversation with’ series that kicked off on Monday 12 November. The series aims to offer insight into the careers of the biggest names in British journalism to inspire more women into senior and high-profile jobs across our industry. 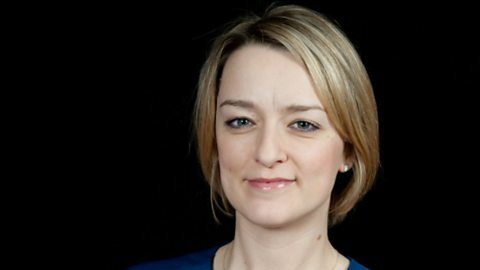 As the BBC’s first ever female political editor, and winner of the Political Studies Association’s coveted Broadcaster of the Year prize in 2016, we could think of no-one more appropriate to begin our new series of interviews with. 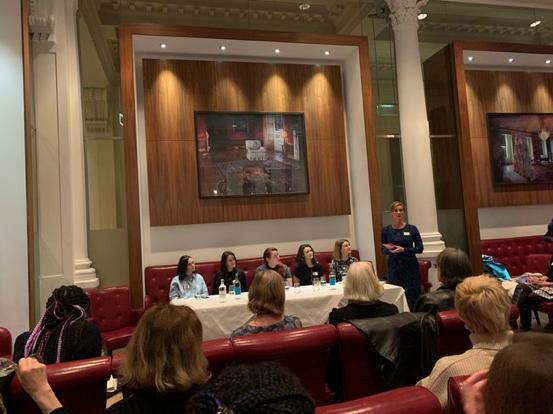 Laura was interviewed by Laura Whitcombe, WIJ committee member, one of our past mentees and now digital campaigns editor of The Sun, and Eleanor Mills, WIJ chair, editorial director of the Sunday Times and editor of Sunday Times magazine, joined the panel as presenter. The event was a sell-out, with 150 journalists taking their seats in the lecture theatre at the Royal Geological Society in Piccadilly, London, to hear from Laura. Never underestimate serendipity. Have an open mind. Do not close yourself off to a very niche career path. Be willing to try out new opportunities, say yes to unexpected chances, and always keep your eyes open. Work hard! This does not necessarily mean working all hours of the day and every weekend but it does mean being prepared to put maximum effort in while you are at work. Be nice to both contacts and colleagues. It will get you far. People will want to work with you – and tell you things. Build relationships so you can go back to contacts time and again. If you are working in a specific patch or beat, have a handful of people who you can rely on to call. 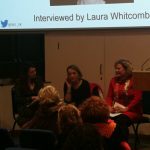 Laura added that finding a mentor is also very important and assured the audience that she is always delighted when asked to be a mentor and share her experience. 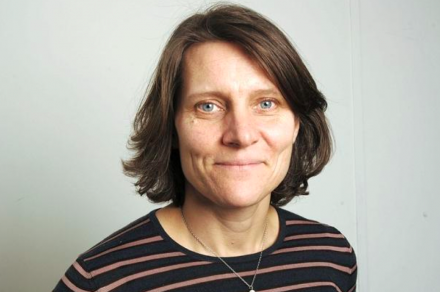 Laura is a mentor for Second Source, John Schofield and the BBC – as well as agreeing to be part of our Women in Journalism mentoring programme and encouraged the audience to look for opportunities to gain insight from others in the industry. 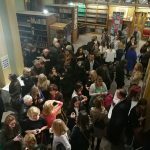 The Women in Journalism mentoring programmes are now open for applications until 1 December 2018. One of the most important pieces of advice Laura shared all evening was her encouragement of all journalists to get away from their desks to get out and talk to people. There is no substitute for getting out and speaking to the people involved in stories, asking lots of questions and reporting from the scene. She said it’s all too easy to think Google has all the answers but she warned that journalists who think this won’t get far. Laura told the audience to “put yourself on the line every day”. Be brave and don’t hold back. When asked what advice she would give her 20-year-old self, she would tell her to not feel so intimidated about colleagues who had more experience than her. Also, learn how to ask for help and lean on others when you need to. For all the positives and excitement of a career in journalism, there are also daily challenges and these don’t go away with experience. When asked how she deals with abuse, Laura said “you do your work” and just remember that people are always waiting to shoot the messenger. 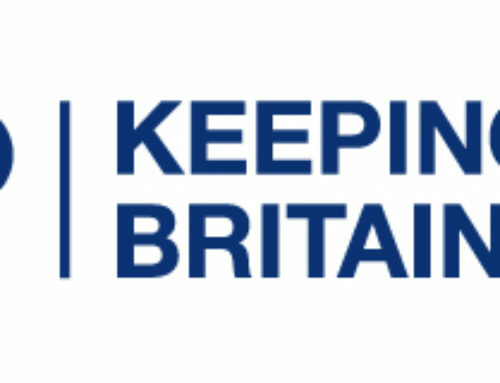 Remain impartial and do your job. For every challenge faced, there are ten positives about a career in journalism. Laura shared her particular passions, which include breaking news, having access to the people who make decisions that affect all of our lives and seeing incredible things right in front of your eyes every day. The broadcaster said: “Journalists have this opportunity to be able to see events up close to try to understand what is happening. 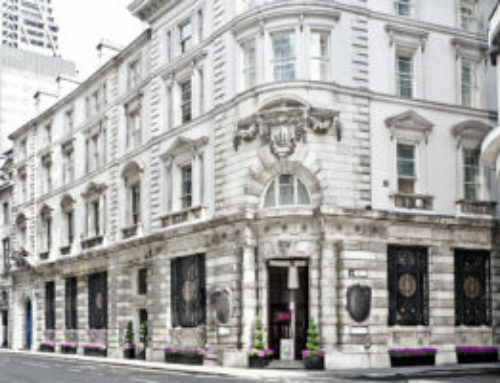 Despite her outwardly huge working responsibility and busy life, Laura said that even in her shoes, you can switch off. 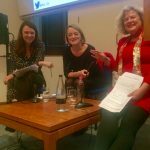 Serendipity played its part in the evening and when speaking about the importance of sound while broadcasting – such as in the atmosphere that can be created by something trivial, like a pen dropping to the table – Laura had the room in hysterics. She was interrupted by her own mobile phone, revealing the star broadcaster’s ring tone to be the chimes of Big Ben. “I really miss them,” she said. 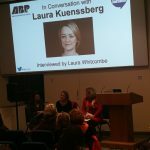 Laura impressed the audience and came across as smart, funny, insightful and very honest and we have been inundated with messages from journalists who attended the event telling us how much they feel they learnt from the evening. 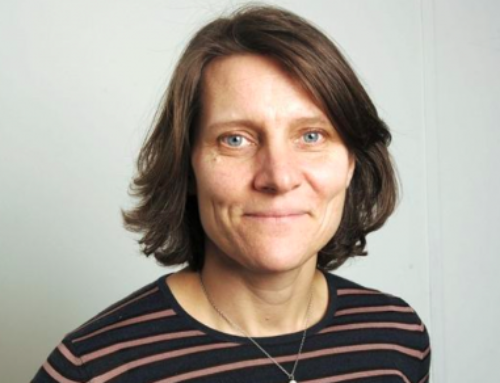 If you would like to join us for the next event in our In Conversation series, Jane Martinson will be interviewing Kath Viner, editor of The Guardian on 22 January 2019 at City University, London, so look out for tickets coming on sale on the Women in Journalism website. The series will also include In Conversation with Anne Robinson and with Jo Elvin. 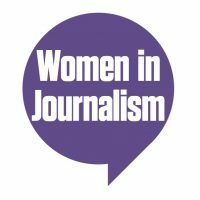 We are also gearing up for our next event as a wider organisation, the Women in Journalism Christmas party 2018 which will be held at NEWS UK on 11 December at 7PM? 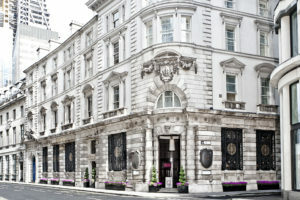 Tickets are on sale now and will remain on sale until 7 December, subject to availability.